20mm wide weaver / picatinny sight rails. 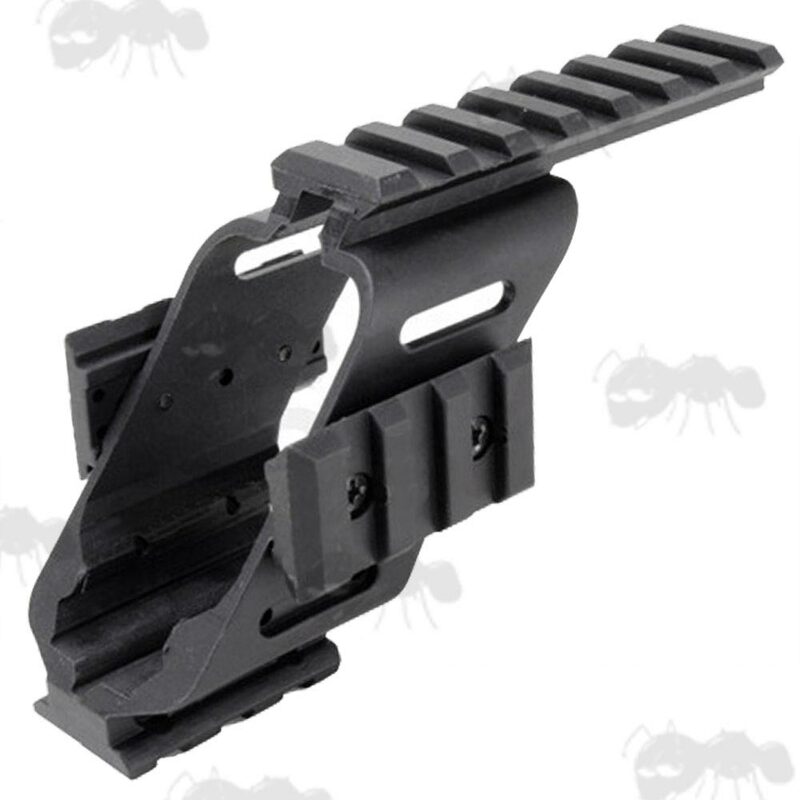 Also available ~ Pistol trigger guard rail mounts. Clamp-on design with fixing bolts. A universal rail mount for fitting to pistols with a front picatinny / weaver type accessory rail. Fits most Glock / Hi-Capa / M.E.U / M9 railed series pistols. 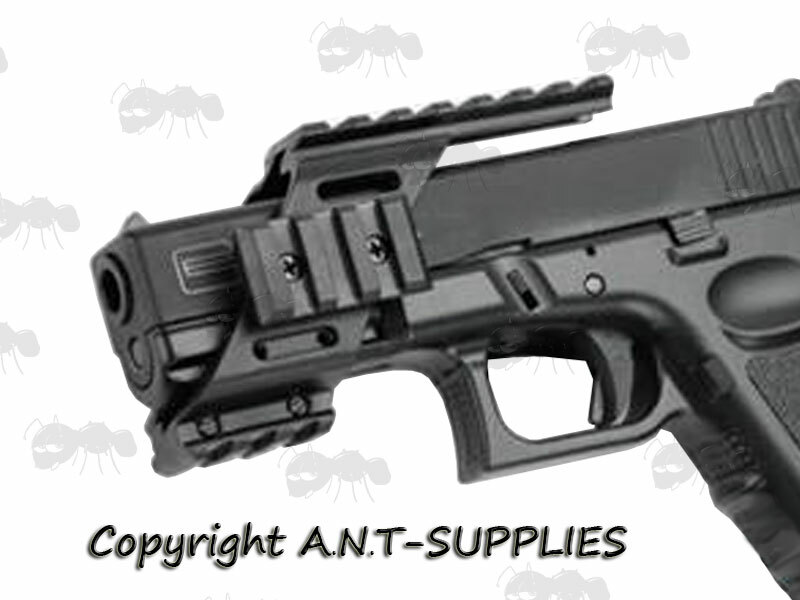 Provides a picatinny / weaver top scope rail with 7 slots and two side and one base accessory rails with 3 slots.